European and Asian Perspectives 2014 ed. 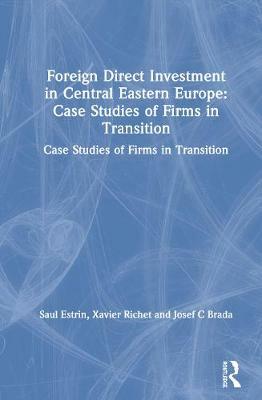 This contributed volume seeks to provide a unique window on the globalization process by analyzing the dynamics of Foreign Direct Investment (FDI) in Europe and Asia, as well as its influence on the renewal of public policies and regulations, both transnational and local. It discusses the link between the trans-nationalization of productive and business systems and the renewal of local regulations in the light of concerns over competitiveness and attractiveness, as well as new social tensions. Multinational corporations (MNCs) as key actors of globalization are central for understanding the new interactions between the global, regional and local dimensions as well as for highlighting the challenges of regulation both at transnational level and within national boundaries. Research approaches along two broad lines are presented: First, a theoretical and empirical approach that examines links between the strategies of multinationals and local public policy in order to contribute to a better understanding of the institutional dynamics of social regulation. Second, a comparative approach that compares regional spaces, with particular attention to Europe on the one hand, and to the two great emerging powers, China and India, on the other. 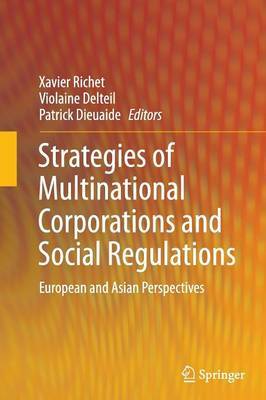 Buy Strategies of Multinational Corporations and Social Regulations by Xavier Richet from Australia's Online Independent Bookstore, Boomerang Books. 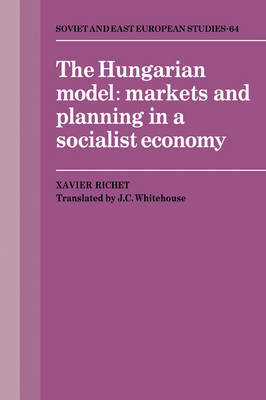 Xavier Richet is professor of economics at the University Sorbone nouvelle in Paris where he holds a Jean Monnet chair in European economic integration. He has extensively worked and published on post-transition economies both in Europe and China where he has directed several fields research projects. He currently teaches international business at the Sorbonne and in Chinese and East European universities. Violaine Delteil is socio-economist, Associate Professor in the department of European Studies at Paris University Sorbonne Nouvelle and member of the Research Center ICEE (Integration and Cooperation in European Space). Her main research agenda deals with industrial relations and labor-management relations in Europe, and gives a particular focus to the european integration of the Centre and Eastern European Countries. She published in various national and european academic reviews and recently co-edited " Globalising Employment Relations? Multinational Corporations and Central and Eastern Europe Transitions " (2011, Palgrave Mac-Millan, Londres). Patrick Dieuaide (Associate Professor, Research Center ICEE, Integration and Cooperation in European Space) is Associate Professor at Paris University Sorbonne Nouvelle, Dean of the Faculty of Institute of European Studies and pedagogical Director of the "European Studies" Research Masters. He has published numerous articles in the most French and European economic reviews concerning transformations of national labor-management relations in Europe. 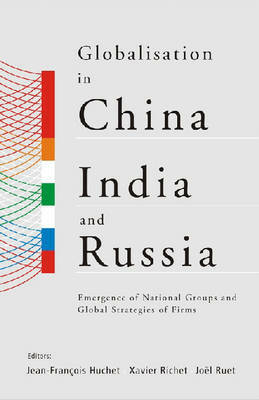 He recently published, in collaboration, a book on " Globalising Employment Relations? Multinational Corporations and Central and Eastern Europe Transitions " (2011, Palgrave Mac-Millan, Londres).